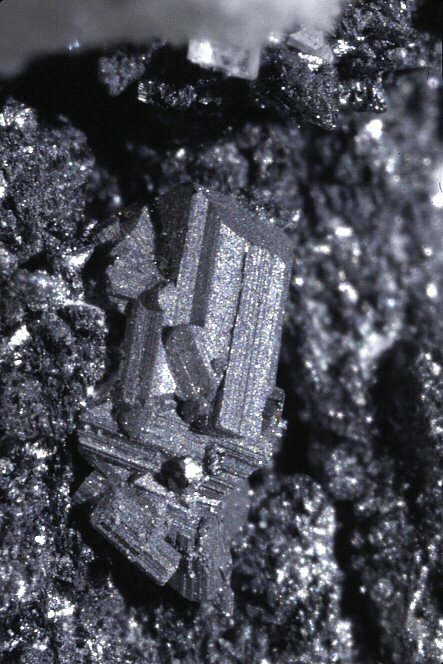 Comments: Aggregate of gray prismatic crystals of marrite on fine-grained jordanite. Location: Lengenbach quarry, Binntal, Valais, Switzerland. Scale: Picture high 5 mm.